Growing up I was a tall, lanky kid with zero self-confidence. During my senior year of high school I decided to change that. Picking up those first weights has forever changed my life in so many ways. Once my strength increased and my body shape changed, my confidence skyrocketed and I decided from that point forward I would do whatever I could to give other people that same feeling. After graduating from Rutgers with a BA in sports management and exercise science, I knew my passion was to work in the athletics field. My first full-time job was at a local gym to pay bills until I found my “career job”; not knowing that I would soon meet my future business partner. At this gym, I started off as a front desk staff until I decided to earn my personal trainer certification and start helping people the way I was helped at 16. 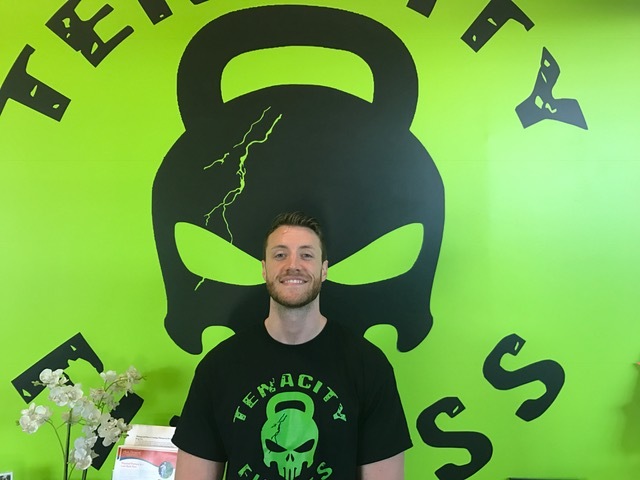 I earned my CPT through W.I.T.S and their excellent coaching staff and internship program prepared me to confidently enter the fitness coaching world. My future partner Bill Jack and I had many discussions about the fitness industry and we discovered that we shared similar viewpoints and beliefs about the state of the fitness industry and how we would do things differently. We put together a business plan that we believed would represent a new type of fitness facility and community. We presented the plan to my parents, who are very successful business owners in their own right, and they came away impressed and inspired to invest in us. Just like that Tenacity Fitness was born! 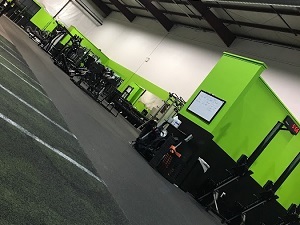 Mixing functional training classes, traditional strength and cardio equipment, and a personal, family like atmosphere with no gimmicks and sneaky fees; we grew incredibly fast! We started out at 2,500 sq. ft. and quickly expanded to 3,500 sq. ft. when we realized we did not have the space to accommodate our growing client base. After 3 years we knew it was time for another expansion; this time to our dream facility. One year ago we moved into our 8,000 sq. ft. warehouse facility and we are extremely proud to call this the true home of Tenacity! Our amazing coaches and incredible members make Tenacity a special community. My dream of helping others to improve their health and self-confidence has finally come true and it gives me a joy that is difficult to put into words. To all my fellow trainers and coaches who have or are thinking about starting their own business: I advise you to think long and hard about what it is you really want out of entrepreneurship. Don’t do it to get rich! Do it because you believe in your idea and your passion for helping others. Bill and I have spent many 70 hour weeks at the facility! Make no mistake, this will be the hardest, most intense roller coaster ride of your life. But, if you have the passion, then the rewards will be more than you can imagine. Don’t forget to surround yourself with smart and caring people. You will need their advice and support to stay grounded and help push the business along. One person can’t change the world, but an idea supported by a group of people most certainly can.